this has been one of the favorite giifts given every year because we eat a lot of popcorn at the lake. 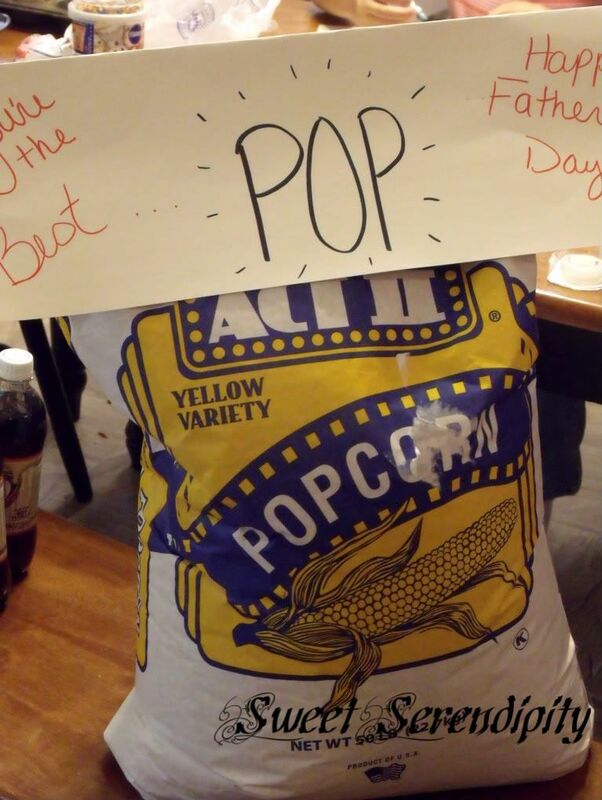 I just added a very large bag topper(poster board folded in half) to the top of a 50lb bag of popcorn!! !